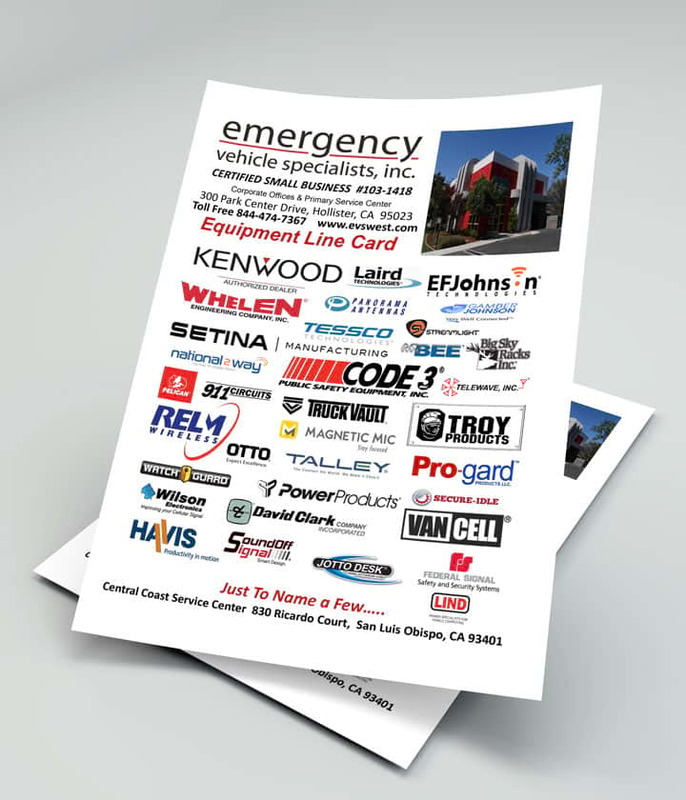 Off-Road - Emergency Vehicle Specialists, Inc. 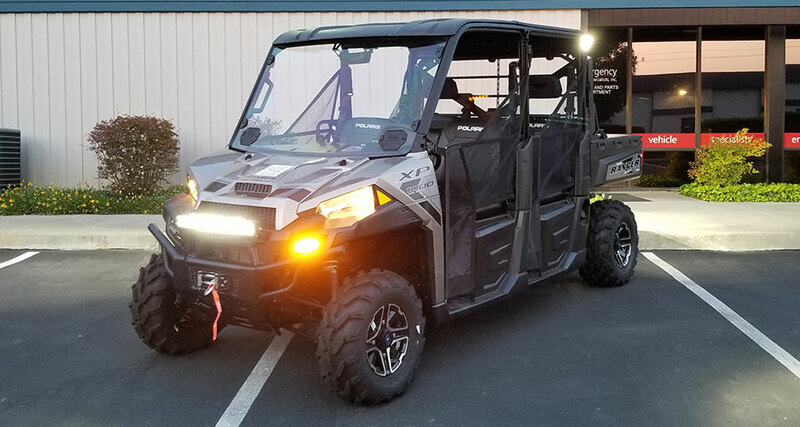 In addition to the Crown Catering transport fleet, a 2018 Polaris Ranger was built to work in field operations. Crown Catering provides quality prepared meals for those working on large incident operations such as the wildfires in California The Ranger is equipped with warning lighting/PA by Whelen and scene lighting by Rigid Industries. 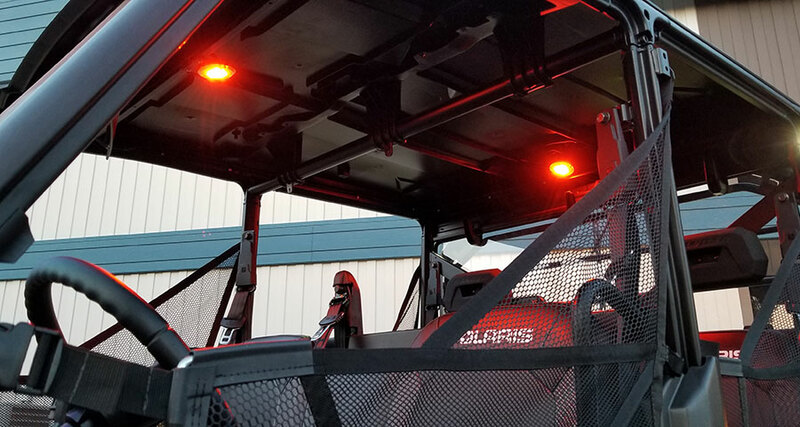 With 360-degree amber/white lighting, this Ranger lights up the scene for all to see. From bumpers and bed-slides to lighting and power management, EVS can supply you with all of the products and services you need for your four-wheeler, hunting Jeep, or fishing boat. Whether you want small repairs or a full upfitting, you can rely on us to provide excellent, fast service. We prioritize quality and safety, so we’ll make sure your off-road vehicle is equipped to safely and efficiently take you on adventures. If you have any questions or need any assistance with your vehicle, please contact us. 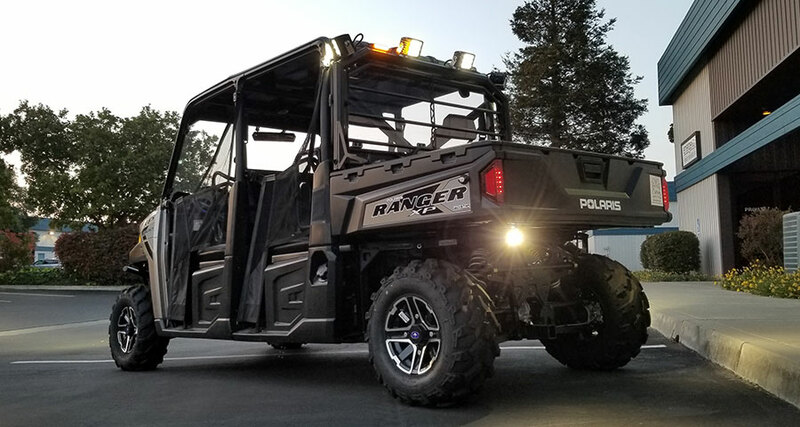 Our top-of-the-line 2018 Polaris Ranger was designed for Crown Catering, a company that delivers meals to those working on large incident operations like the California wildfires. 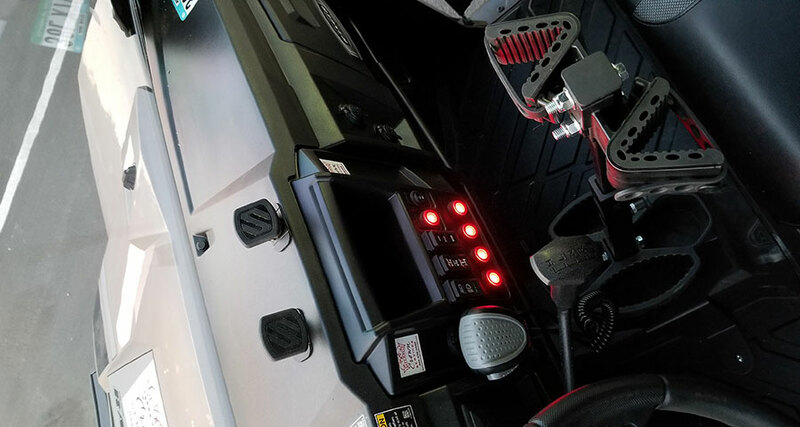 We installed warning lighting, scene lighting, and 360-degree lighting, so the workers at Crown Catering can safely travel-off road, and see everything on the scene. We use the best technology for all of our projects, and we value efficiency. 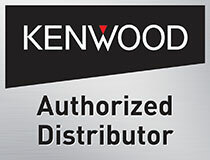 Our off-road vehicles are safe, easy to operate, and packed with all the equipment you need to travel.